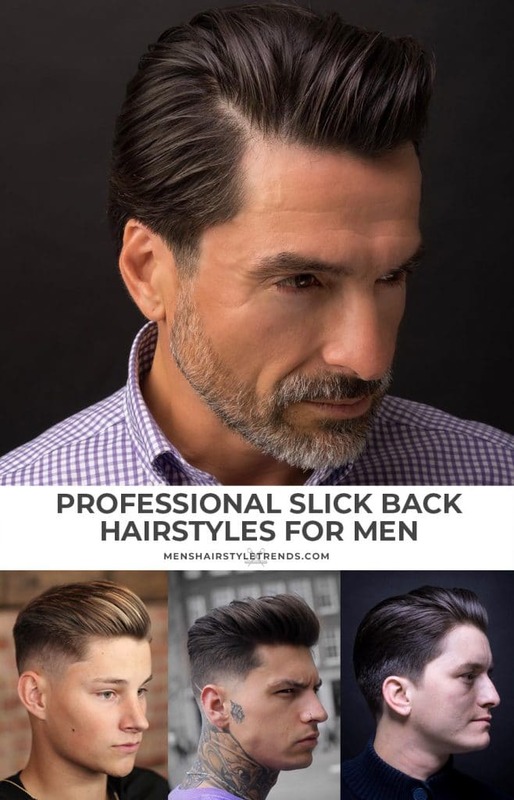 In general, professional hairstyles for men are clean cut. That can be either a short haircut or longer hair styled neatly. 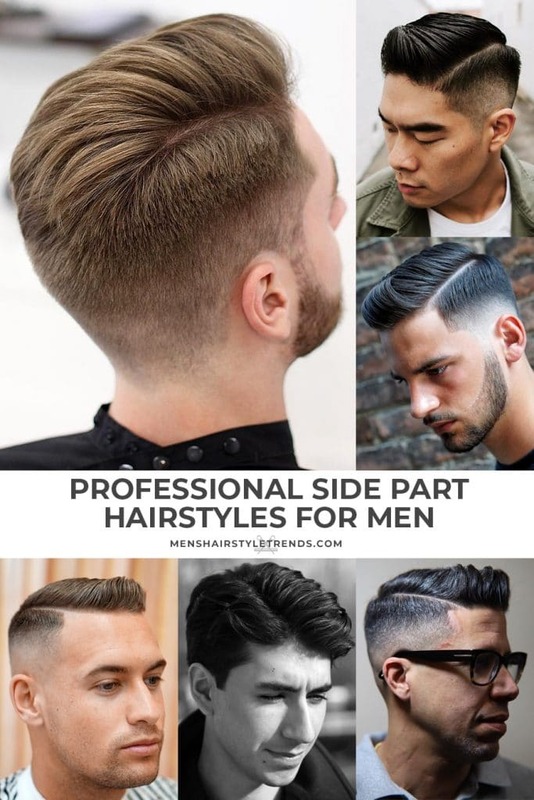 Classic men’s hairstyles are also appropriate for conservative work environments, including the high and tight, slick back, and side part hairstyles. Of course, it’s also about looking good. These business hairstyles are stylish and flattering while still being professional. Hair can be short, medium length, or get the best of both worlds with a short sides, long on top haircut that offers plenty of hair to work and clean cut sides. All men’s haircuts can be styled in a variety of ways, so wear hair neatly during the day and looser, messier looks after hours. Now check out these professional business styles that work hard and look great. The easiest way to clean up for work for guys with all hair types is going short. Some styling is usually required as well. Use a pomade to hold hair in place, add volume, or tame curls. A low fade around the sides and back keeps the hairline impeccably clean. It can buy time between barber visits because fades grow in nicely. Another option is to stay short and faded with regular trims. More time and money spent on haircuts can mean less styling time. The side part is classic men’s haircut that always looks professional. There are many different versions of the cut, from a short Ivy League to medium length taper haircut, as well as many styles in between. Longer hair can be styled with volume, worked up into a quiff, or styled over to one side. Matte pomade with a natural finish has a modern look but classic product with a touch of shine is timeless. -Slicked back styles are one of the most popular men’s hairstyles, from pompadours to the high shine Mad Men look. A matte version with some volume is a flattering and stylish hairstyle that should be suitable for most office environments. Hair can be long on top or short on top and tapered or faded at the sides. Any way you wear it, this is a distinguished look that helps convey confidence and ability.